Hippie Trail Nasty Ballin E-Liquid is a refreshing and exhilarating vape blend of freshly sliced lemons and limes. This tasty new blend of lemon and lime has a perfectly balanced sweet and tangy ratio with a heaping kick of citrus flavor to wow your taste buds every time to inhale. Hippie Trail by Nasty Ballin is a refreshing and densely flavored e juice that doesn’t leave an artificial aftertaste. 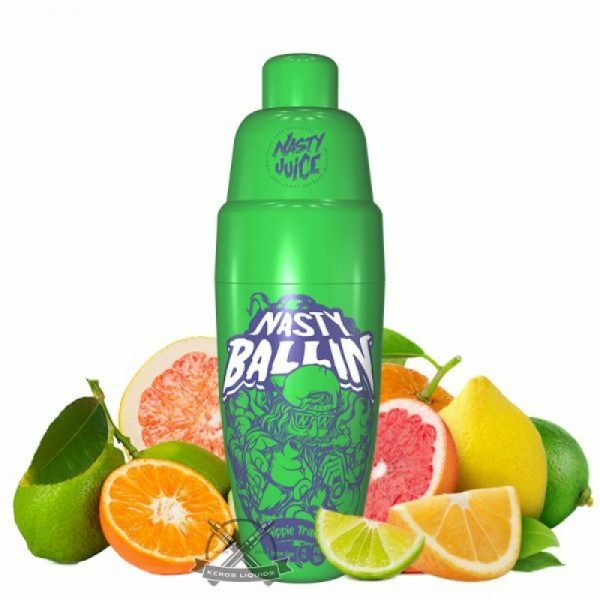 Nasty Ballin features a luxurious cocktail shaker bottle with a unique ball bearing inside the bottle to seriously shake up your juice. Every bottle comes with an authenticity seal. Try it this top selling new e juice today!